I know I have never really talked about my sister here. Just so you know that all of my family are all in KK and I'm in KL. But yea, I really wanna talk about her for her weekly silliness, it's weekly because I don't allow her to disturb me during weekdays. 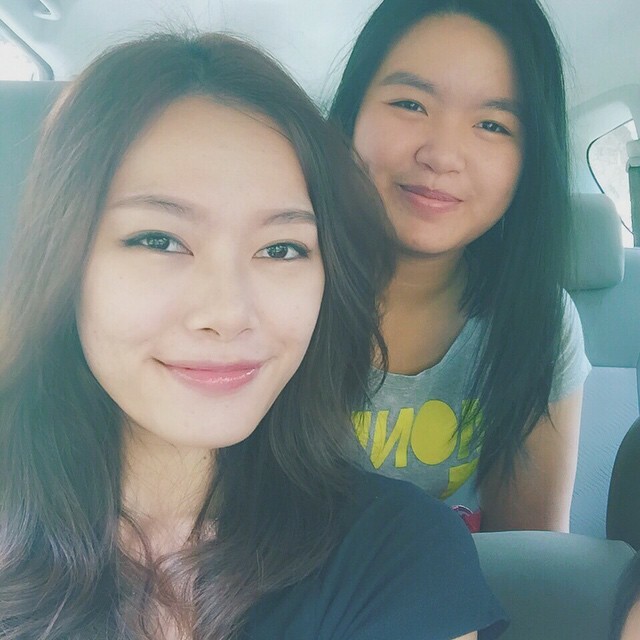 Sis Flo: Jie! That day I subscribe to the new add-on RM28 internet plan by Digi..
Me: so RM28 for how many GB? Me: RM28 for 5GB ONLY?! 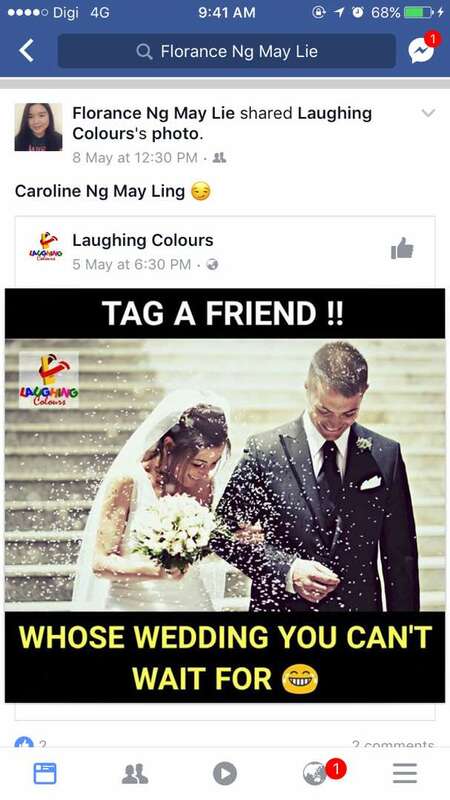 Sis Flo: and FREE FACEBOOOOK!!!!!! YAYYYYYY!!! Me: Eh? Oh, not bad wor! means you won't ask me to top up your phone liao la hor? 1. Jie, help me top up my phone! It doesn't matter how many time I've asked her to get a postpaid plan, she would always say NO. She's the type who super paranoid about fraud cases and being too scared being overcharged monthly. She would normally ask me or my mom to help her top up her phone 1-2 times a month since college and she would complain about no more data to reply whatsapp or even FB, Youtube do research. Trust me, it was like a lifetime happiness when she found out about the new add-on internet plan (5gb high-speed internet + FREE Facebook) for RM28 from Digi. But seriously, FREE Facebook?! 2. Jie, this is YOU. 3. 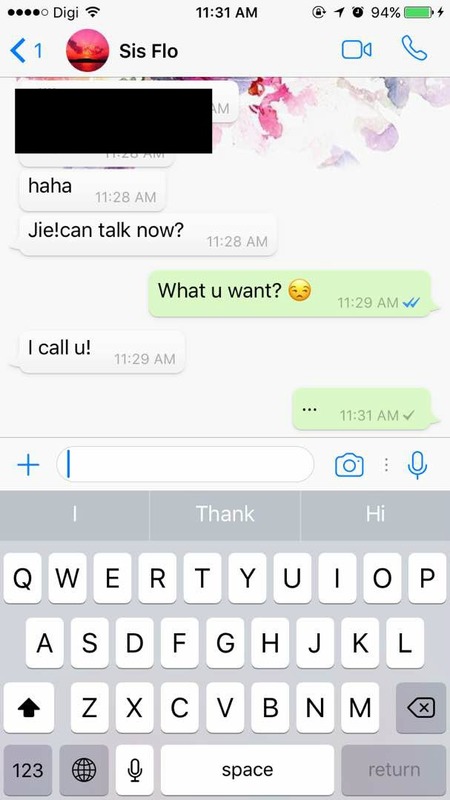 Jie, can we talk? My sister used to be the annoying type of person who would just miscall you and expect you to call her right away. Reason: save money. But lately, she's been the one who calls me to talk without miscalling me first and will only call me towards the end of the month. Reason: not for money, but don't want to waste the 1000 min FREE calls. She's very silly but yeah, she's my sister and I love her! Though we are so far from each other (2 hr 30 mins plane ride) and how we can still maintain our somewhat close sister relationship via calls, video calls and even Facebook, I'm so grateful for the technology and most importantly, how amazingly affordable the telco plan nowadays! Digi is offering its new add-on internet plan which gives you 5gb high-speed internet + FREE Facebok for RM28 only! You really check out the new internet plan now - http://www.digi.my/clnlive !